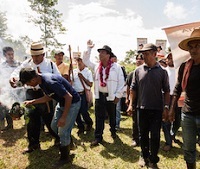 The Ixil communities’ victory against the expansion of hydro in their territory comes after a campaign by the communities to protect their rights as indigenous peoples to prior consultation in Guatemala’s courts. Furthermore, this victory, as well as other victories, sets a precedent that companies must consult communities, and receive the community’s consensus prior to any project. 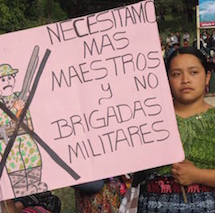 Last month, Rogelio Velásquez and Saúl Méndez, active members and leaders of the defense of territory in northern Huehuetenango, were acquitted of charges of femicide. 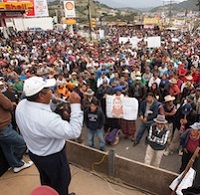 Their community of Santa Cruz Barillas has been in resistance to the Santa Cruz hydroelectric project under construction by the Spanish firm Ecoener Hydro Energy. They argue that the dam will greatly affect their land and water. 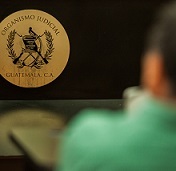 The case against Velásquez and Méndez reflect the use of laws, such as Guatemala’s 2008 Law on Femicide and Other Forms of Violence Against Women to criminalize the leaders of the social movements challenging the construction of mega-projects by transnational companies. 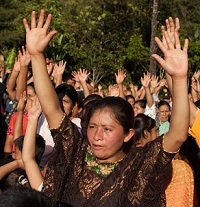 The residents of Santa Fe Oca?a, and the other Kaqchikel communities of San Juan Sacatepéquez have lived under a semi-permanent state of exception since September 2014. The order was reportedly lifted on October 31, but the police and military remained, forming permanent encampments in the towns of Pajoques and Santa Fe Oca?a. A Guatemalan judge has ordered the oil palm company Reforestadora Palma de Petén S.A. (REPSA), to suspend operations at their Sayaxché palm plantation, pending an investigation into the environmental disaster in the Pasión River, which led to the death of millions of fish in May and June of 2015. 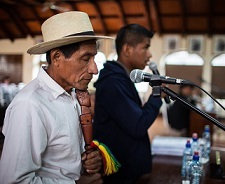 Sayaxché community leader Roberto Lima Choc was assassinated the day after the judicial order. Now that the corrupt criminal ringleaders have already been identified and arrested or imprisoned, will the anti-corruption heroes reveal the names of the fraudster corporate leaders who head and make up the corrupt criminal network? 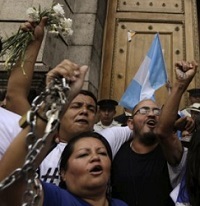 August 27th will forever be a historic day in the minds of Guatemalans. 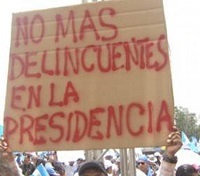 Well over 100,000 people took to the streets across Guatemala in a day of national stoppage to demand the resignation of President Otto Pérez Molina, and to demand the delay of upcoming elections. 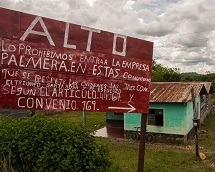 Success is rare among indigenous peoples’ struggles for land rights in Guatemala. 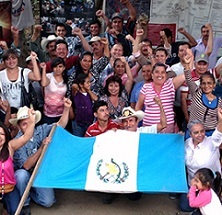 But the nearly 300 Poqomchi’ Maya families that make up the Primavera communities in the department of Alta Verapaz have just won a significant victory.